If it's not periodical or intergalactic, a movie is probably set in a prehistoric era where dinosaurs do exist! 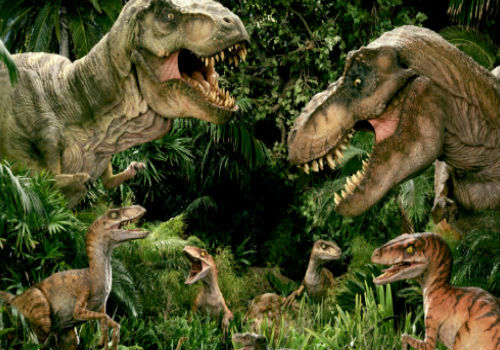 Listed below are five of the most iconic movies about dinosaurs! Jurassic World just hit the theater and I believe that there is no better way to pay tribute this iconic movie franchise than listing down my personal pick of Top Five greatest Dinosaur movie. Enjoy! 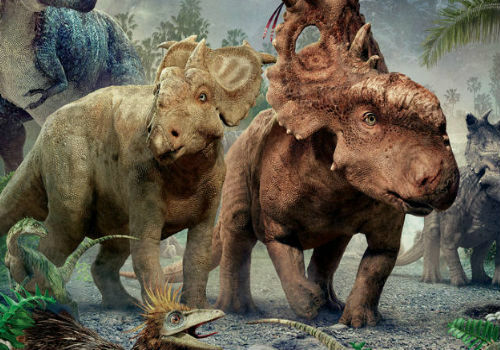 Walking With Dinosaurs is a 2013 3D movie that follows a story of a dinosaur named Patchi who hatched among a herd of Pachyrhinosaurus. Patchi's runt status means he must use his wits rather than strength to compete for food with his larger brothers and sisters, particularly Scowler. After a terrible fire leaves Patchi, Scowler, and a female named Juniper on their own, the rivalry between the brothers escalates to a dangerous level. Patchi must summon his inner courage and strength to become the leader he was born to be. Ice Age is a series of animated films that follows a story of a group of mammals trying to survive the Paleolithic ice age. Although the film focuses on mammals like Mammoths, prehistoric sloth and tigers, the group will have numerous encounter with different dinosaurs. 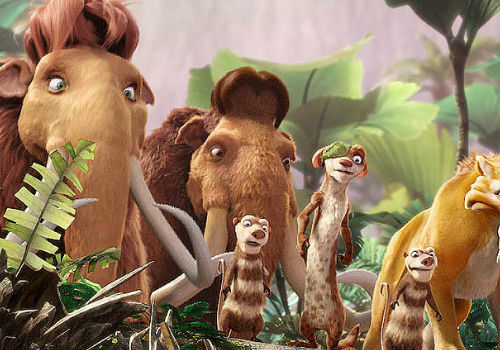 There are currently four films under the Ice Age franchise and one currently in development. Not to mention the short films and television specials. 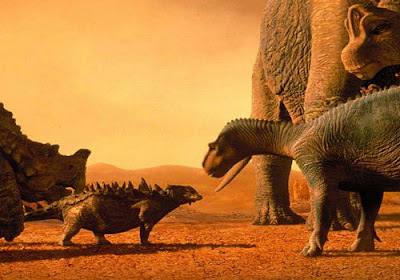 Dinosaur is 2000 is a 3D live-action/computer-animated science fiction adventure film by Disney that revolves around the story of Aladar (D.B. Sweeney), an iguanodon dinosaur raised by a family of lemurs. Their world is turned upside-down however, when meteors strike, turning their green world into a desert wasteland. Teaming up with a herd of other herbivores, the trek is on to find the "Nesting Ground" where water and vegetation is bountiful but they will encounter challenges along the way. The film was a financial success, grossing over $349 million worldwide in total box office revenue, becoming the fifth highest-grossing film of 2000. The film received mixed to positive reviews at the time of its release, with critics praising the visuals, but criticizing the writing, plot and characterization. 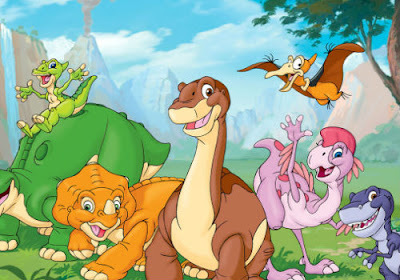 For those who grew up in late 80's or up to early 2000s should be aware what The Land Before Time is. It is a huge dinosaur animated franchise that expanded to twelve direct-to-video musical sequels. The films follow a friendship of a group of young dinosaurs, by the names of Littlefoot (Apatosaurus), Cera (Triceratops), Petrie (Pteranodon), Ducky (Saurolophus), and Spike (Stegosaurus). After finding The Great Valley, they raise a carnivourous baby, survive a drought, a cold snap, and witness a solar eclipse. Throughout all films, they embark upon adventures, learning lessons about life and friendship along the way. Isn't predictable? There is no better dinosaur movie than Jurassic Park yet. The film is based on the 1990 novel of the same name which expanded to two more sequels and a reboot (Jurassic World). It initially follows a story of a group of paleontologists who just had a tour to an island theme park populated by dinosaurs created from prehistoric DNA. The terror begins when a ferocious predators managed to break free! 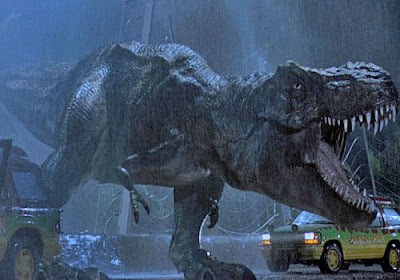 Jurassic Park is considered by many to be one of the greatest films of all time, as well as a landmark in the development of computer-generated imagery and animatronic visual effects.